Great quality and value. Beautiful frame! I am finishing another painting that I will use this same frame on. My painting is a watercolor on paper mounted on board, then sealed. This frame complements the painting perfectly. I'm working on a series of paintings inspired by my recent trip to Italy. This frame is perfect! We wanted a bold, dramatic frame for a print we had of a house in Letchworth Park, NY. It frames our subject perfectly. We couldn't be happier. It was beautiful. thank you. very happy with it. it was a gift for my mother in law. ordered a custom size form my painting. The frame came arrived in short order and was well put together. 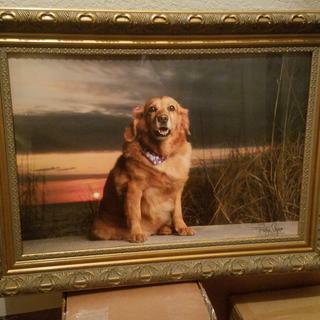 The frame was suggested by my photographer. I looked at others, but kept coming back to this one. I just love it. Can recommend you. Jill at sunset at Boca Grande, FL. thought this was good choice for my second granddaughters infant picture. Beautiful frame for a period picture. 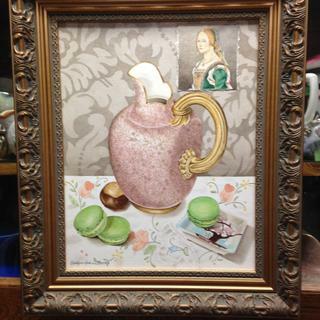 I was looking for somewhat ornate antique gold frame about 2" wide, so as not to overwhelm the painting. This seemed perfect. does anyone make a curved frame to fit in a curved staircase? BEST ANSWER: Hello! Thank you for your inquiry. What an incredible idea to use the moulding as a handrail for a staircase! At this time our frame mouldings come in straight sticks and are not curved. We apologize that we did not have this for you. However, if you have a need for wall décor please don't hesitate to contact us. Have a fantastic day!